Green is the new black. At least, when it comes to cars. In April however, that changed forever as the Toyota Prius family became the world’s third best-selling car line for the first quarter of 2012. To do that, Toyota sold a staggering 247,230 Prius hybrids, beating sales figures for cars like the Ford Fiesta, Chevrolet Cruze, Honda Civic and Volkswagen Golf. In first place for the quarter, selling 300,800 cars was another Toyota, the 2012 Corolla. In second place, just under 30,000 cars ahead of the Prius line, was the 2012 Ford Focus. Toyota’s Prius family success highlights a growing trend towards fuel efficient cars and higher gas prices, but it also highlights the effect that expanding the Prius family has had on sales. A year ago, Toyota only sold one Prius, the 2011 Prius mid-size hatchback. 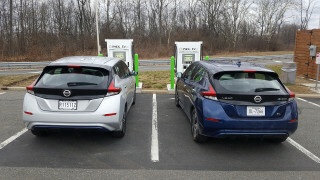 Since then, it has launched the 2012 Toyota Prius C subcompact hatch, 2012 Toyota Prius V mid-size wagon, and the 2012 Toyota Prius Plug-in Hybrid. In doing so, Toyota has placed its legendary Prius name into three markets that it didn’t occupy, enticing more sales than it would ever have done from a single car. In addition, green car tax rebates and credits in countries like Japan have meant that the 2012 Toyota Prius C -- which is sold in Japan as the 2012 Aqua -- have become runaway successes. It’s that popularity which has helped Toyota increase its sales in Japan from 52,507 during the first quarter of 2011 to 175,080 in the first quarter of 2012. 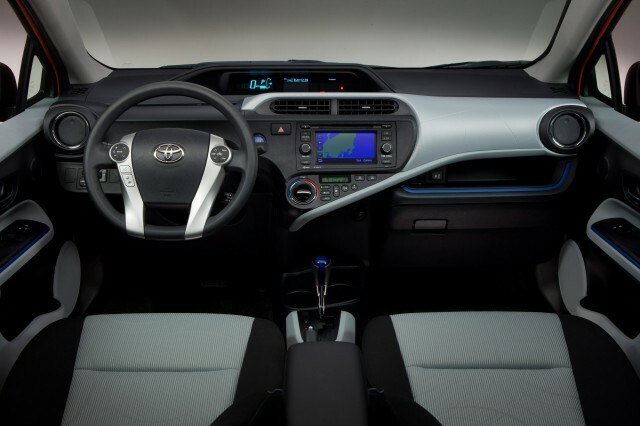 Recently, Toyota celebrated selling its 4 millionth hybrid car. With interest in hybrid cars experiencing a resurgence, the company is confident it will reach 5 million in short order. However, this success could lead to strained demand globally for Toyota Prius hybrids. Take the U.S. for example. According to Automotive News, current predictions estimate that as many as 250,000 U.S. drivers will want to buy a Prius model in 2012. But planned production is currently pegged at 220,000 cars. With gas prices dropping however, some car buyers may chose to forego the lure of the Japanese hybrid king in favor of something a little more conventional. For now, however, Prius owners worldwide can rejoice. They drive one of the greenest and most desirable cars on the planet, and there’s not a tofu burger in sight. Why Can't U.S. Buyers Get Hybrid Toyota Yaris & Honda Fit?